Since its founding in 1981, our firm has enjoyed a long and storied history providing the highest quality legal representation to employees and labor unions. 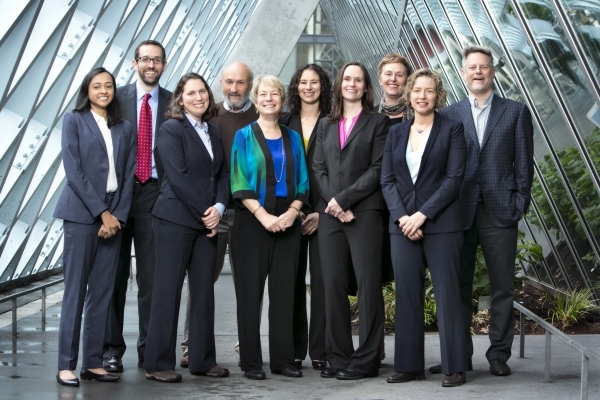 Over the years we have grown to become one of the largest law firms in Washington dedicated to representing individual employees in workplace disputes. Our attorneys are outstanding practitioners who practice with the highest integrity and professionalism. This high standard is reflected in our firm receiving the highest ratings available from the leading peer-review agencies, and our attorneys having amassed an impressive amount of individual awards and recognition. More than 30 years later, we still do every day what our founders set out to do from day one: promote equality and fairness in the workplace. Founding partner Steve Frank became of-counsel to the firm in July 2015. Cliff Freed retired from the firm in January 2017 to become a full-time mediator and arbitrator. Employees deserve an equal and fair workplace. Each of our clients is entitled to committed, effective, and high quality representation. Our attorneys will act with integrity and professionalism. We built our firm on these shared values. We love what we do. We invite you to put our passion to work for you. Employment: Our attorneys represent employees in a wide range of workplace disputes including breach of contract, discrimination, harassment, whistleblowing, unpaid wages, and wrongful termination. We also represent clients in matters such as severance negotiations, non-compete agreements, civil service appeals, and professional licensing matters. Our firm litigates both individual employment cases and class actions. For workplace disputes not requiring litigation, our attorneys also work with clients in reaching practical and effective solutions through negotiation and advisement. We routinely advise clients seeking disability accommodations or temporary leave from work for medical or family reasons. We represent private employees and those employed by government agencies. See our practice areas for further details. Labor: We offer a full range of services to our union clients, including contract negotiations, interest and grievance arbitrations, unfair labor practices, and defending duty of fair representation cases. Our union clients include Amalgamated Transit Union Locals 587, 1576 and 883, Office & Professional Employees International Union Local No. 8, and Service Employees International Union Healthcare Local 775NW. If you are an individual with an employment issue, including a potential class action, or a labor union in need of counsel, we invite you to contact us for a consultation.